Sensō-ji is the most famous buddhist temple in Tokyo, established in 645, and major tourist attraction in Asakusa, a neighbourhoud in the northeast of Tokyo. Enter through the Kaminari-mon close to Asakusa station. It leads you through the 250 meter Nakamise-dōri shopping street to the Hōzōmon gate, after which you will see the main temple building. 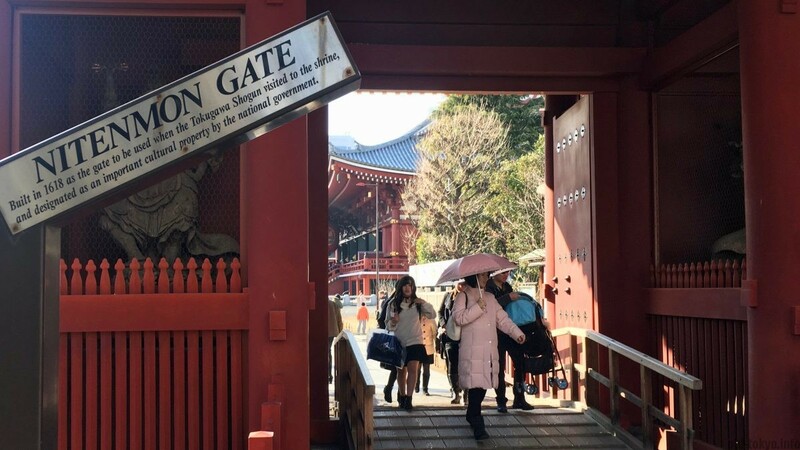 Together with Meiji Shrine, Sensō-ji is the most visited religious site worldwide thanks to the large population in the Tokyo metropolitan area and the vast amount of visitors that Tokyo attracts. This number is way higher than any of the temples in Kyoto. Rather than the main temple building, Sensō-ji’s beauty (and attractiveness) lies in the surrounding buildings. The Sensō-ji temple complex includes many gates and side-buildings that are actually more interesting and have a long history. Nitenmon: oldest gate at Sensō-ji (built in 1618), located on the right of the main temple building. You have a great viewpoint from this gate towards the main temple building and pagoda. 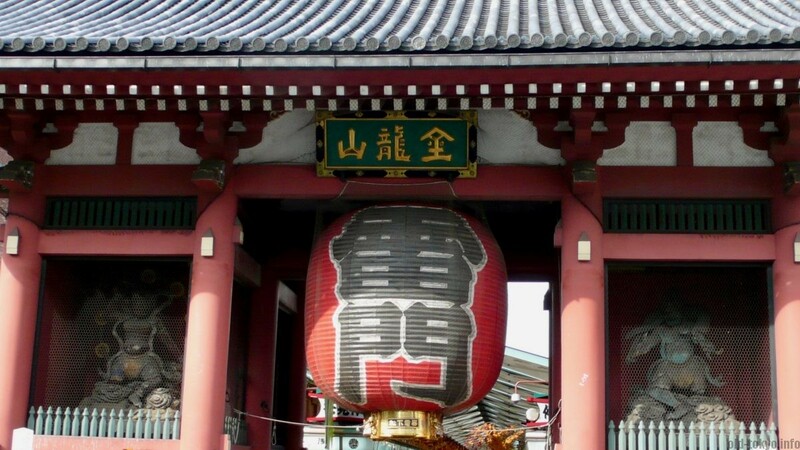 Kaminari-mon (thunder gate): the enormous red paper lantern hanging from the middle beam with the characters 雷門 is something special that you will not find at other temples in Japan. It became the symbol of Asakusa and the entire city of Tokyo. Rokkaku-do (hexagon temple): oldest building on the Sensō-ji site built in 1618, small and cute. The whole east side of Sensō-ji is very nice for a walk. There is a garden with many more buildings including this Hexagon temple. Read more. 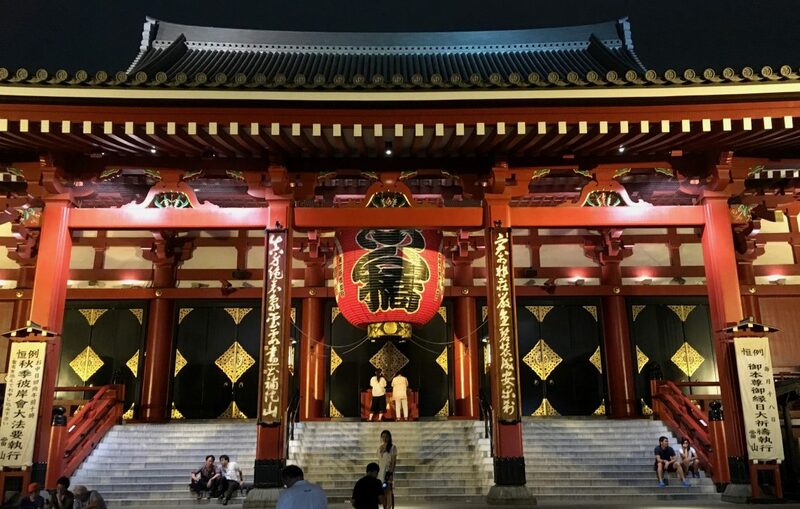 One of the major reasons why this temple became so famous, is because the first shogun Tokugawa Ieyasu (in office 1603–1605) designated Sensō-ji as a prayer temple because it was in the unlucky direction to the northeast of Edo Castle. Before Edo was made capital, it was already a famous temple in the area, but did not have the significance it has today. Other reasons why the temple became prominent was due to the prayer given at Sensō-ji for the successful outcome of the Battle of Sekigahara (1600). Sensō-ji is famously known as Tokyo’s oldest temple. According to legend, two brothers were fishing in the Sumidagawa river and caught not a fish, but a Kannon statue, the goddess of mercy. When they put it back in the water the statue came back. This was 628, by 645 the temple dedicated to the Kannon was completed. However, the temple was destroyed multiple times and the current temple building was rebuilt in 1958. The legend behind the nearby Matsuchiyama Shoden puts its establishment in 595 or 601, so before Sensō-ji. 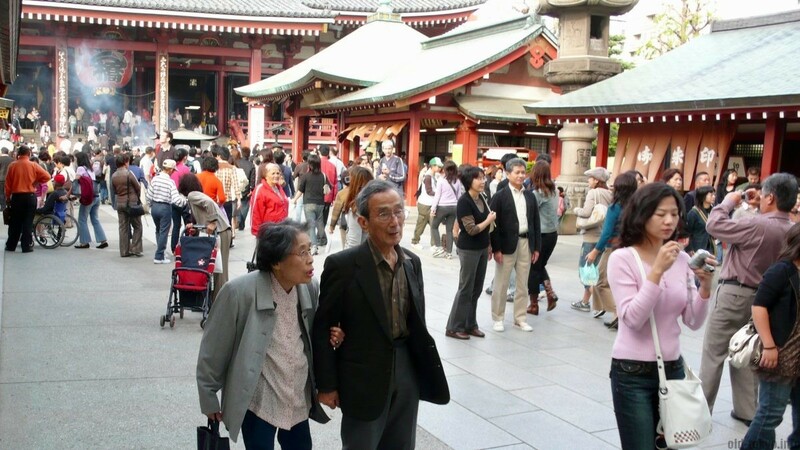 I guess the term “oldest” referring to Sensō-ji in fact signifies “oldest + major” temple. 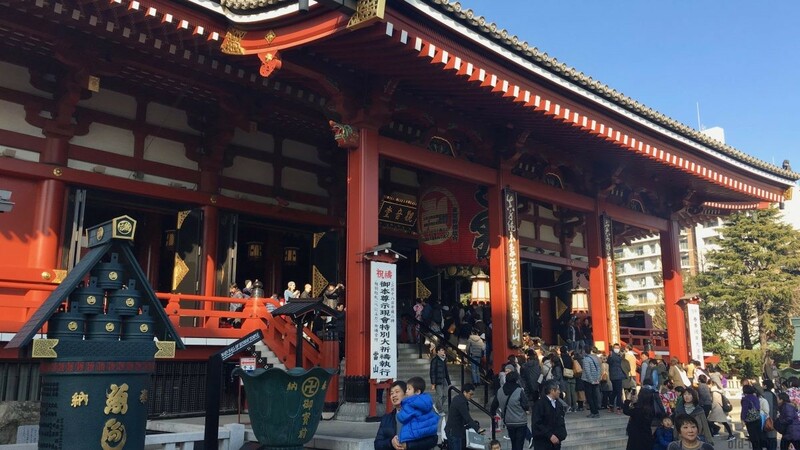 Nevertheless, if you are looking for an old temple in Tokyo, also have a look at Gokokuji (built in 1697) or Kiyomizu Kannon-do (reconstructed in 1694 at its current location) as more authentic and beautiful locations to go to. Asakusa rose to prominence in the Edo period (1603-1868) as an entertainment district with Sensō-ji at its centre. You can compare it to nowadays Shinjuku. Asakusa until the mid of the 20th century was the place to be as a red light district and to visit theatres. It has been colourfully described in the novel The Scarlet Gang of Asakusa (1930) by Yasunari Kawabata (Nobel Prize in Literature 1968).